Our Governing Board comprises a diverse, experienced, passionate and professional group of people. Our Board ensures ECMS is continually empowered to deliver on the important outcomes we seek to achieve for the children, families, and communities we work with. Kay is a dietitian with extensive experience in most areas of children’s nutrition. Her research in the areas of nutrition and activity in the early years, especially in vulnerable communities, has added to her understanding of the importance of this period for children and families. Kay has a keen interest in professional education and has developed programs and resources for use by the various professional groups that provide support and education to young children and their families. Kay consults in the areas of children’s nutrition and food service management. She holds a position as Honorary Fellow Manager at the Murdoch Children’s Research Institute, as Adjunct Clinical Professor at the Australian Catholic University and Research Associate at the University of Melbourne. She chairs the Australian Dietetic Council, the body responsible for accreditation of dietetic courses in Australia. Kay is a Fellow of the Dietitians Association of Australia and a Member of the Australian Institute of Company Directors. Charlotte’s experience is as a school leader in education in Australia and the UK. She spent 15 years as a teacher, senior leader and Principal before becoming Managing Director of one of the largest not-for-profit educational providers in the UK, United Learning. She has worked with both government and independent schools across the full age range, from six months to 18 years. Now working as an educational consultant back in Melbourne, Charlotte is particularly passionate about supporting the strategic leadership of education through coaching. She has also seen how the benefits of professional collaboration impact educational outcomes and is very interested to explore how ECMS is already harnessing the power of partnerships to leverage quality performance. Charlotte has degrees in music and education from Australian universities, an MBA from Durham and a Certificate in Executive Coaching (ILM). She is also a member of the Australian Council for Educational Leaders. Celia is currently the Principal of Organisational Development at Alchimie Pty Ltd. Before this, she worked for the People Advisory Services at Ernst and Young and as Executive Director of People and Culture at Public Transport Victoria for more than five years. This followed more than 20 years’ experience as an industrial relations and human resources practitioner. She started her career as a tutor in politics at Monash University and went on to become first a researcher and then an industrial officer at various trade unions. Celia worked for the US Government as an advisor on labour relations and the Victorian Government as an Industrial Relations policy analyst. Celia has since held leadership positions in industrial relations and human resources in the higher education, health and transport portfolios. Celia has post-graduate qualifications in business and management and is an alumnus of the Harvard Business School Women’s Leadership Forum. Celia is a graduate of the Australian Institute of Company Directors with post-nominal GAICD. Clare began her finance career at KPMG and has held a range of executive finance roles in blue chip companies across the finance, manufacturing, agriculture and retail industries. Clare has extensive experience in government advocacy and community engagement gained from leading Global Sustainability & Carbon at Incitec Pivot Limited for more than seven years and a solid understanding of childhood services from serving on the committees of Westgarth Kindergarten and Fairplay Playgroups, which both her boys attended. Both boys also attended childcare, which Clare sees as a vital resource for families and a key contributor to child development. Clare is passionate about lifelong learning, particularly learning through new experiences and in realising the potential that is in all of us to be fabulous. Clare has a Bachelor of Business in Accounting from Monash University, is a Fellow of the Institute of Chartered Accountants (ANZ) and is a graduate member of the Australian Institute of Company Directors. Clare has also completed an Executive Leadership Course at Melbourne Business School. Linda is currently the Director City Communities at the City of Melbourne (CoM). Linda started at CoM in December 1987 working with childcare centres and kindergartens to assist children with special needs. Linda’s commitment to community development and social justice has provided a sound base for her work in a variety of interesting roles at the CoM over the past 27 years. These roles include manager of family and children's services, human resources, and marketing and communications. Linda has also been responsible for implementing local government legislation requiring Council to review and continuously improve its services to the community. In 2004 Linda was appointed as a Director at the City of Melbourne making her the only woman in a team of seven directors. Linda’s current portfolio includes Arts Melbourne, Community Services, Health and Wellbeing, Libraries and Recreation; and Social Investment branches. The City Communities Group contributes to enhancing the City of Melbourne and its reputation as a safe, attractive, liveable and accessible city for people of all cultures, religions, ages and abilities. Sophie McNamara is a Pro Bono Manager at Gadens Lawyers. Before joining Gadens Lawyers Sophie was a Pro Bono Senior Associate at Ashurst in Sydney. Sophie is a passionate human rights advocate with specialist knowledge in children's rights, community law, and humanitarian migration. Sophie has extensive experience in not-for-profit governance and is particularly passionate about working with indigenous organisations to strengthen boards and support community organisations. Sophie holds a Bachelor of Laws and a Bachelor of Arts from Monash University, and she is currently studying a Master of Business Administration with Deakin University. A 20-year veteran of telecom and digital industries, Ryan’s experience has spanned the full gamut in the successful delivery of visionary agendas through entrepreneurial leadership and accountable management. This has seen Ryan implementing successful business programs for brands such as Telstra, Optus and iiNet. He played a strategic role in the innovative development of Tasmania’s ICT policy, and his expertise has gained him an immutable reputation for operational systems design and commercial business growth. Ryan’s skills and experience are focused on effectively growing Zirilio’s business platform, ensuring financial sustainability, a robust product roster and operating efficiency through best-of-breed practice in maintaining the company’s competitive advantage. Kelly is a Senior Manager at PwC’s Indigenous Consulting. Before this, Kelly worked in the Economics and Policy Consulting team at PwC Australia. The common thread throughout Kelly’s career is delivering projects that drive positive and measurable change for individuals and groups experiencing disadvantage and vulnerability, particularly children and young people. In her current role, Kelly manages large and complex consulting projects in the areas of social policy reform, service delivery and program reviews and evaluations. Kelly is passionate about early childhood education and development and has recently returned from the Northern Territory where she spent 18 months working with regional and remote early childhood services to assist them to adapt to funding reforms. 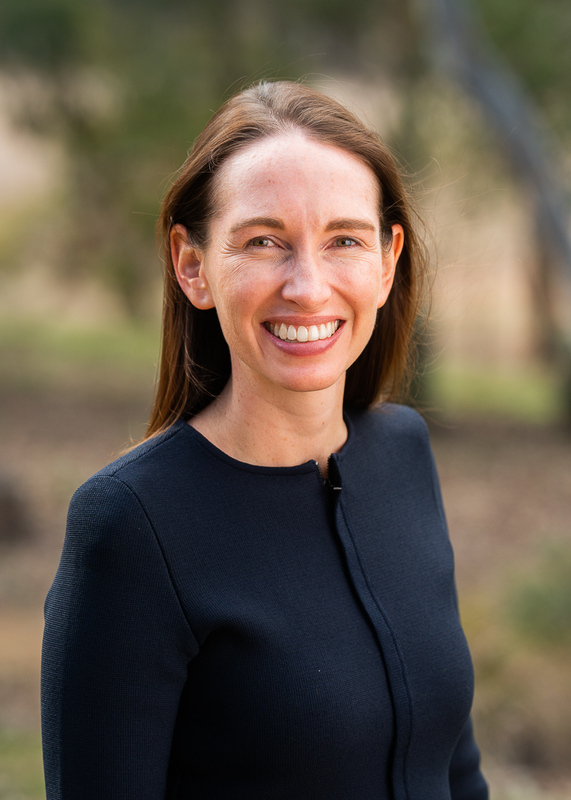 Kelly began her career in the Australian Government, where she worked for the Department of the Prime Minister and Cabinet and the Department of Foreign Affairs and Trade. During this time Kelly also undertook a secondment to the Cape York Institute for Policy and Leadership in Cairns to work on an economic development project. Kelly holds a Bachelor of Arts (Hons) and a Bachelor of Laws from the Australian National University and is a qualified solicitor. Jyoti is an infrastructure projects adviser with over fifteen years of experience in strategy, planning, structuring and delivery of major projects including education facilities, hospitals, roads, rail and Public Private Partnerships (PPPs). Her education sector experience has included advising governments, private sector clients and not-for-profit sector on the delivery of various primary schools, secondary schools and higher education precincts, and Jyoti is a passionate advocate for drawing across the same delivery focus on early years learning facilities and services. Currently, an Executive Director at Morphosis Advisory, Jyoti has previously worked in firms such as Lazard, Citigroup and ANZ. She also serves on the Board of Kara House, a crisis housing services provider for victims of family violence. Jyoti holds a Bachelor of Commerce and Bachelor of Science double degree from the University of Melbourne. She is also a member of the Institute of Chartered Accountants (CA ANZ) and a graduate member of the Australian Institute of Company Directors.